To enjoy the protection of the law, and to be treated in accordance with law, and only in accordance with law, is the inalienable right of every citizen, wherever he may be, and of every other person for the time being within Bangladesh, and in particular no action detrimental to the life, liberty, body, reputation or property of any person shall be taken except in accordance with law.Art. 31, 1986 Constitution of Bangladesh (as amended). Every citizen shall have the right to assemble and to participate in public meetings and processions peacefully and without arms, subject to any reasonable restrictions imposed by law in the interests of public order health.Art. 37, 1986 Constitution of Bangladesh (as amended). There is no regional Asian human rights treaty to which Bangladesh could become party. 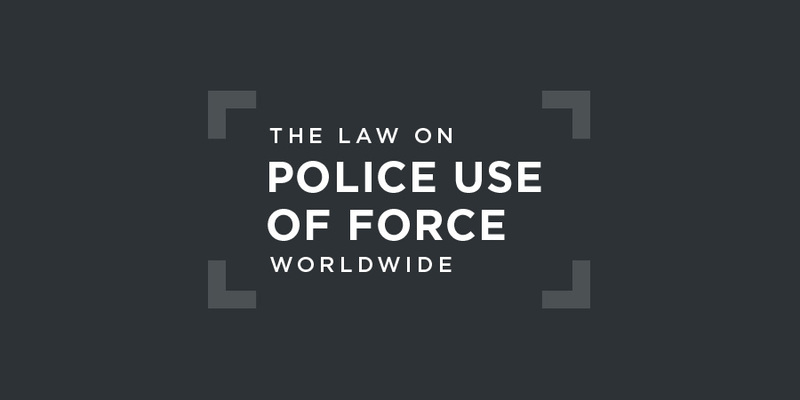 Under the 1898 Code of Criminal Procedure, if a person "forcibly resists the endeavour to arrest him, or attempts to evade the arrest, such police officer or other person may use all means necessary to effect the arrest." It is also provided, however, that this does not grant "a right to cause the death of a person who is not accused of an offence punishable with death or with [imprisonment for life]."S. 46, 1898 Code of Criminal Procedure.Section 50 of the 1898 Code prohibits an arrested person from being subjected "to more restraint than is necessary to prevent his escape." With respect to assemblies, an officer in charge of a police station may disperse an unlawful assembly by force, and, if necessary for "public security" that it be dispersed, the Police Commissioner in a Metropolitan Area "may cause it to be dispersed by military force".Ss. 128 and 129, 1898 Code of Criminal Procedure. To effect an arrest in certain circumstances. (Section 46, Criminal Procedure Code. Police use of firearms to protect property is not permissible, nor is the use of firearms to disperse unlawful assemblies. The National Human Rights Commission (NHRC), which was established under the 2009 Human Rights Commission Act, has oversight over police use of force but its powers are limited to requesting reports from the Ministry of Home Affairs on alleged violations. (e) Provide in its next periodic report information on: (i) The number of investigations conducted; (ii) Convictions secured; (iii) Disaggregated information on penalties that have been imposed on perpetrators. There is no regional human rights court with jurisdiction to review police use of force in Bangladesh.